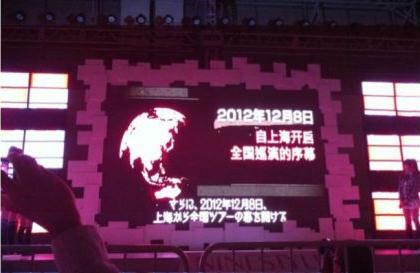 Announced today during AKB48's visit to Shanghai. 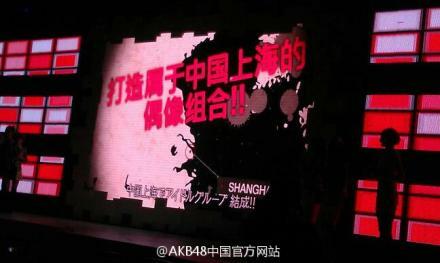 The third overseas sister group of AKB48 will be based in Shanghai. Name of the group comes from the Japanese name of Shanghai: シャンハイ (Sha n hai). SNH48 would recruit members in China in August and form the first team before 8 Dec this year, the 7th anniversary of AKB48. China invasion <-- As this will be an unknown step into china entertainment industry/idol market they will start with AKB birthplace, Akihabara -the holy land of ACG. Plans to start with various deals/endorsement in the ACG(Anime,Comics,Games)genre. That was expected, considering about the amount there are..
Edit: back to SNH, it doesn't bother me as JKT does not, too. Just another bunch of nice/pretty/talented girls getting their chance, and I have to choose which ones to support. Seeing others is nice, but I won't go after them seriously ("There is their PV on tracker? go check it." "Many people say there is PV? IGNORE."). or because they are outside of Japan there will be no "II" addition. The same question apply to JKT48. But I'm amazed they are launching this so close to the time they are launching TPE. And you have to take the risks. Hope you are prepared for them. 4) no!!! Why Hunan TV. 5) there are no female (idol) groups in China, and you never wondered why? 6) lyrics in Chinese? XD Good luck. [EDIT] The most important thing. I don't know who is going to be in charged of group (I hope it's Aki-P), but to future SNH48 members, please! Do not sleep with your boss. Please! Why can't Aki-p just focus currently on the main groups esp. AKB48 itself? The group itself is too big currently so just adding another one will just increase the growing pain issues. Focus on Team 4 and a probably Team 8, if management wants to expand! Now isn't the time to expand as the home groups' problems need to be addressed first. Good luck to the girls in China. Hope they know what they'll be getting themselves into. the taiwan group tpe48 hasn't started yet why aki-p wanna start another chinese group shn48 , is it another case of conflicts of interest as both groups would vie the mandarin speaking market in asia ??? Whoo! Another group for me to not care about. Don't mean that offensively; there are just too many spin-offs from AKB proper. I'll look at SKE every now and then... aside from NMB's 3 front girls and their ROUND1 commercials, I won't really pay attention to them. I'd rather watch the other Fukuoka idols than HKT... no Jakarta... no Taipei and no Shanghai. With the addition of "Team 4" to AKB and them now having 62 full-fledged members, I'll never be able to name everyone. An AKB-based idol group would never fly in ROK... they'd spit on anything Japanese related gaining too much popularity there. please, before they get started with other overseas sister group, fix the 1st one's management first. I am ok to see some overseas sister groups, if there's aki-p's plan to conquer Asia, or even the world. But is it far too quick? JKT is still so new and they haven't got an original song yet. The audition of TPE has even not yet started. Did he create SKE, NMB, HKT in such a quick manner!? And for creating an idol group in China, there's a really great doubt on whether it can success. First of all, idolling, or even the entertaining industry is not something very welcomed by the government. They often impose controls on it. Also, given the frequent tension between China and Japan, there must be some people who don't like to see a group originated from a Japanese group. But for those people who like Japanese culture or music, very often they don't support local groups. 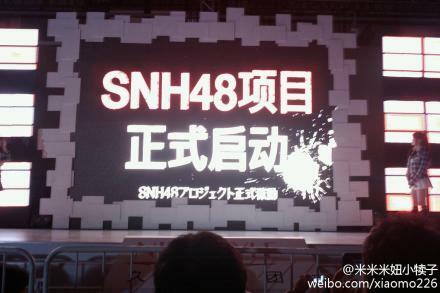 I think SNH is more like a by-product from the partnership with the local promotion company of AKB48. So this is part of the deal for allowing AKB48's promotion in China. That's what I think. Anyway, I think there are many cute and talented girls in China who are as good as those in AKB48. So it could still be a good group in the 48 family. What's wrong with lyrics in Chinese? but anyways, can you explain that last bit you wrote in there? Anyways, this is getting to be ridiculous though. There's already enough 48 groups as it is. Does Aki-P want to stress himself out even more with all this!? Being a Chinese person, with my extensive knowledge of the Chinese culture I can tell you that this would most probably be a flopping failure. There are 3 things that can get you any and everything for you: power, money, and relations. Since membership of the group involves auditioning, you can bet that a lot of dirty trade will be done under the tables unless the girls are screened by the Japanese AKS themselves. One thing that worsens the situation is the one child policy in China. I am willing to bet that a lot of parents of spoiled girls will be putting a lot of money and pulling a lot of strings to make sure their daughters get to enter the group. So in conclusion, this is probably the bluntest decision Aki-p has ever made, unless he does magically what he does to every bad decision he made and make it good. Mmm .. I think some of you might want to try to see these non-Japanese sister groups from a different perspective. Instead of seeing them as another sister group that you should follow or care about ... think about what it means for the people in those countries where these sister groups exist. I think Aki-P is creating them for a good reason. I didn't really feel it until I took some time to think about what it means to have TPE48 exist here in Taiwan. And I thought about how with TPE48, I will be able to go to live performances, stage shows, handshake events, meet and support the girls of TPE48 in person. Yeah .. they're not AKB48 .. but they're still a sister group created by the same producer and they will act as an alternative to AKB48. Personally, I don't care much for JKT48 and probably won't care a lot for SNH48 either. But TPE48 is a different story because they will be here locally and will truly be idols I can meet. This is pretty exciting imo. So yeah, I can understand how if the sister group is not in your country locally, then it might feel like a pointless idea or even a waste of time & resource. So really .. I don't think anyone needs to concern about these sister groups much unless they're local to you. And if they are local to you, you might feel very differently about them. Another important point is this ... if these non-Japanese sister groups succeed ... it will mean AKB48 (the concept) taking over multiple music industries in different countries all over again - just with a different name and a different set of girls. And I think that is obviously what Aki-P is aiming for. Think from the perspective of a local fan or the perspective of business ... this idea may just start to make some sense.